When you have a dedicated community, you?re bound to reach an anniversary or two in MMO gaming. Today Aeria Games hits that mark by celebrationg the second anniversary of the free-to-play title, Eden Eternal. The anime-styled MMORPG makes an even bigger point by launching the game?s new update called The Reawakening. The Reawakening takes Eden Eternal to a whole new level of gaming. The most noticeable update is to the games graphics, which were entirely revised. The MMORPG will now feature eye-popping graphics brought on from improved lighting effects, new art for quests in the storyline, and additional depth for character models. The easier graphics have also improved overall user interface. Gameplay will now be streamlined to help attract a population of new gamers. Moreover, game mechanics should come much easier to master for an already dedicated player base. Graphics aren?t the only flashy addition to this anime-styled MMO. Now players can visit a new Loyalty Shop, which offers helpful items for experiences both in and out of battle. Do you want to buff your stats to become a better fighter? The Loyalty Shop has you covered. Maybe you need some better materials to augment your crafting endeavors? Well the new shop has you covered there too. Earn enough Loyalty Points through questing and defeating enemy monsters, and you?ll find yourself hanging at the shop pretty frequently. Check out this free to download MMORPG when you can. With The Reawakening update now active, Eden Eternal has transformed into an online game that will satisfy almost anyone who?s involved. 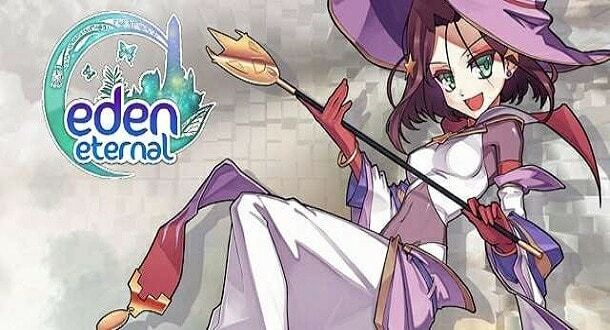 If you?re looking for a vibrant MMO experience with an anime inspired feel to it, look no further than Eden Eternal.